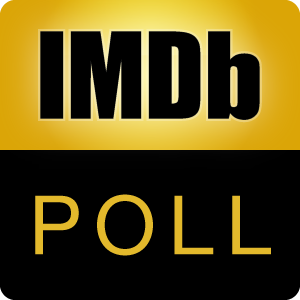 Poll: Movie Invention You'd Most Like To Own? A robotic suit of armor that allows you to fly, gives you enhanced strength and an arsenal of weapons. A set of pills that grant you access to 100% of your brain's capabilities, greatly increasing your intelligence. A machine that can erase your bad memories. For example, the painful memories of an ex-girlfriend. A computer generated world of your own creation, that you could live in. PASIV Dream Machine - Technology allowing you to take control of your dreams, enabling you to create your own dream realities. Technology that allows you to experience things through your own robotic surrogate that never ages. The ability to download skills directly into your brain. For example, learning Jujitsu by downloading all the moves and techniques into your mind. A transporter, technology that enables you to travel instantaneously from one place to another - Teleportation. Neuralyzer, a portable piece of technology that enables you to erase people's recent memories in a quick flash. A Point-of-view gun, a gun that forces the person who is shot to see things from the shooter’s point of view. A personal Med-Bay capable of treating and curing any illness or injury immediately. A compact, easily portable and maneuverable jetpack granting you the ability of flight. A hoverboard.Similar to a skateboard, the hoverboard allows the user to float around on air rather than wheels. Everlasting sweets, candy and bubblegum that never run out of flavor. Your very own flying car. A space ship capable of travelling at faster than light speeds allowing you to travel and explore the galaxy. A robotic child with artificial intelligence, programmed with the ability to love. OS-1, an artificially intelligent operating system designed to meet you every need.